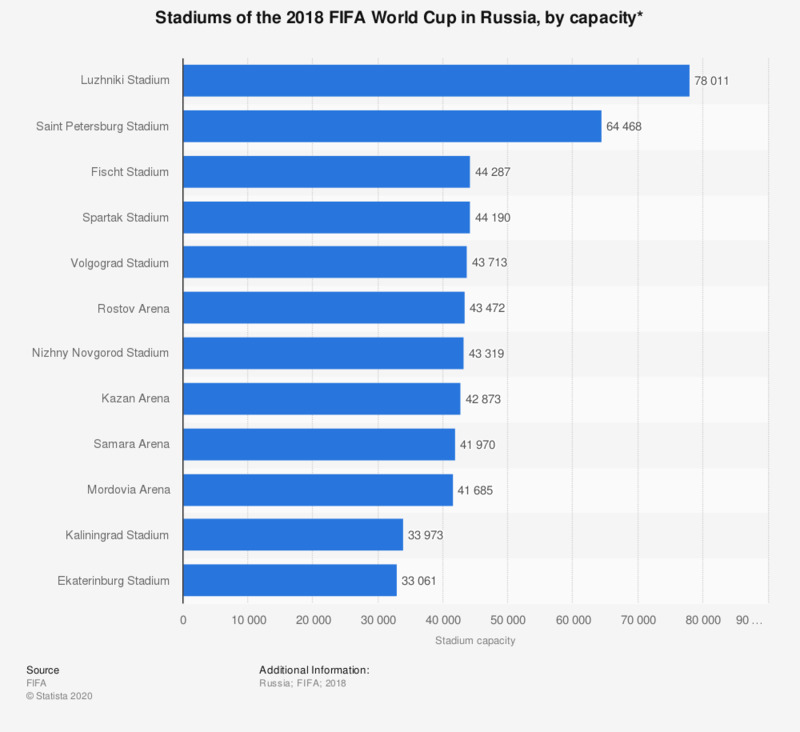 The statistic shows the 2018 FIFA World Cup Russia stadium capacities. Luzhniki Stadium in Moscow, which will host the final of the tournament, has a capacity of 80,000. * The number indicates the anticipated gross capacity for this stadium in its finished state. The stadium's official capacity for the 2018 FIFA World Cup will be lower due to FIFA World Cup specific requirements and constructions.